Here’s an in-depth guide how to play Clash Royale on PC or laptop using MEmu Player which is the most awesome Android Emulator! 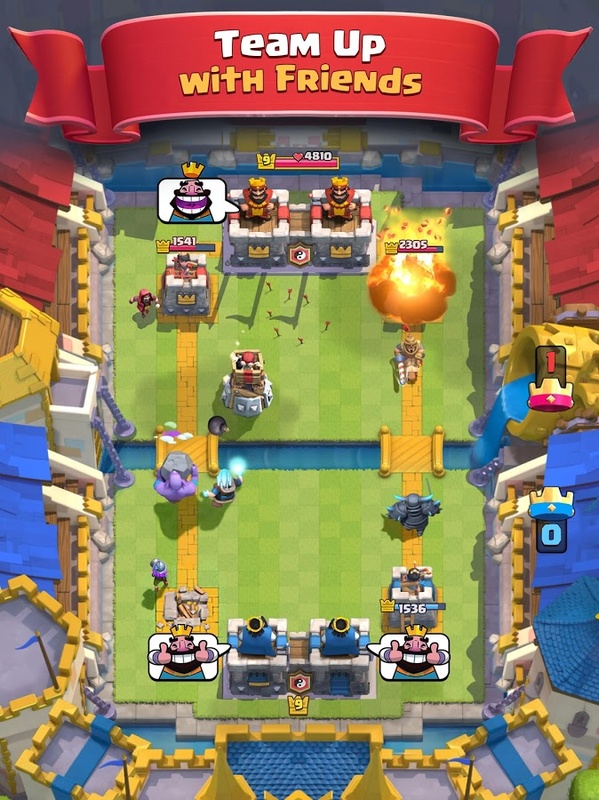 Clash Royale is a card based game to defeat opponent’s tower while defending yours. Check out this tutorial how to play on a computer plus detailed information on all cards in the game. Clash Royale is one of the most popular mobile games. It is a multi-player online game to battle against others in 1-on-1 (and now 2-versus-2) challenges. Enter the royal arenas with a collection of cards to play. Each card represents characters with special abilities such as melee fighters, shooters, flyers, etc. Use troops, spells and defenses to guard your crown towers while trying to take out your opponent’s tower for victory. Win bouts to collect trophies- higher trophies allow you to enter different arenas and unlock different exciting modes such as tournaments and weekly events. Brought to you by the makers of other popular games such as Clash of Clans on PC. Download it and play on your computer or laptop using MEmu Player. The game can be downloaded worldwide officially from Google Play and iTunes. Alternatively, if you would like to side-load the APK onto your laptop or PC you can install it from third party sites. Here’s the link to download. I recommend playing Clash Royale on PC using MEmu Player. If you haven’t downloaded already, please install it here. If side-loading in MEmu Player, install the APK you downloaded using APK icon along the right side. If you are playing Clash Royal on your mobile device and want to log into your same account using MEmu Player, here’s what you need to do. On your existing device simply ensure you were signed in with Google Play Sign-in. Then, on MEmu Player, use the Google Play Sign-in which can be found in the game’s Settings to log into the same account. You will be asked if you want to load the progress from your previous game- losing any progress from the new account. Once you accept it your progress will be automatically synchronized. Now you can play Clash Royale on PC! Tip: You can set shortcut keys on your keyboard to play faster and better than opponents. For example, you can set up keys to help you drop cards faster and to specific areas on the arena you often drop to. 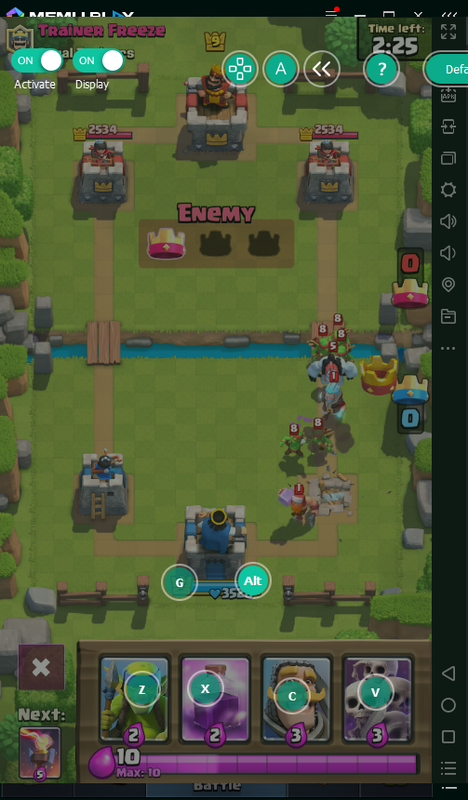 Do not do this during live matches but enter the Training Camp (you’ll find this in the Cards tab in the Battle Deck section next to Elixir cost tally- click the target with sword inside icon). Fireball. Annnnnnd… Fireball! Incinerates a small area, dealing high damage. Reduced damage to Crown Towers. Mirror. Mirrors your last card played for +1 Elixir. Stay tuned for more Clash Royale on PC information, tips and tricks!